Big and nimble. These are two qualities rarely found together. But the new TZ 3000 is extraordinarily mobile given its size and hauling capacity. 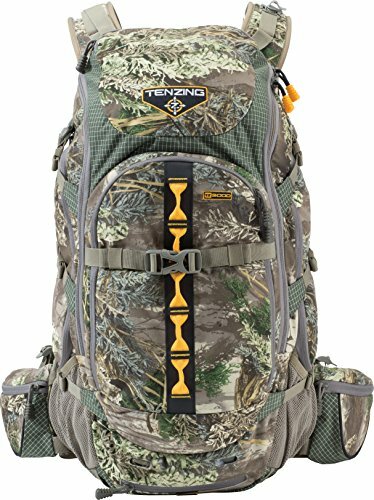 Designed to fill the void between limited-use day packs and extended use big game packs, this impressive hybrid provides ample storage for a day trip or an overnight spike-out. With 3,100 cubic inches of total storage and weighing in at a mere 6.8 lbs., the TZ 3000 will not limit your opportunities. It comes equipped with 9 specialized pockets, is loaded with high-end amenities and can carry a full elk quarter in its main compartment. Like a snake unhinging its jaws, this pack has the ability to open up away from the frame to take in a much larger load. The zipper remains open as specialty compression straps extend to hold in the haul.